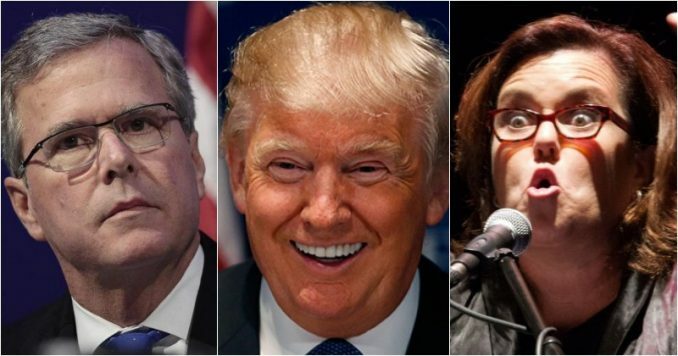 Rosie O’Donnell and Jeb Bush have something in common. They both are urging the Republican Party to back other GOP candidates in the 2020 primary. That’s right. They don’t think President Donald Trump should be the nominee even though he is the sitting president. “I think someone should run just because Republicans ought to be given a choice,” Bush said, and of course Trump-hater Rosie agreed. Well, they both were made to regret it.